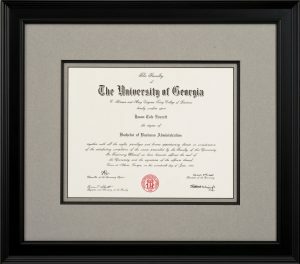 The Frame Depot offers a full range of custom framing services and designs. Any project, from original oil paintings to trendy posters, receives the utmost care and craftsmanship. Our commitment is for you to be thrilled with your framing experience from start to finish. 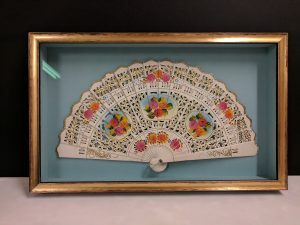 We love creating shadow box designs to enhance and protect your items! Whether you have a Patriots Jersey, a baseball and glove, fishing rod and lures, an American flag, military medals, or even a wedding dress, we can turn it into a beautiful work of art for your wall! 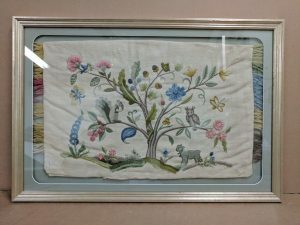 We understand just how much work you put into creating one of these masterpieces, and want to assure you that only the finest materials are used at The Frame Depot when framing your fabric art. We start by stretching it carefully around an acid free foam core board with pins before placing archival grade matting around to enhance. Or if you would prefer not to use a mat boarder, we can space the glass away from the fabric to ensure it stays looking its finest. Come see us for a no obligation quote! A beautifully framed mirror can have a huge impression on the atmosphere of a room. That’s why here at The Frame Depot we work with you in selecting the ideal frame. 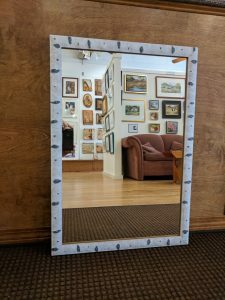 If you have an existing mirror that requires a new frame, or need a brand new mirror custom cut to the size your space demands, consider us your one-stop-shop for your framed mirror needs. * Traditional Stretching – This is done by building a strainer frame and wrapping the canvas so the entirety of the art is visible from the front. The selection of any regular frame profile can be used to finish off the look. * Canvas Drymount – Similar to drymounting a photo or poster, this permanent process fuses a canvas to a firm backing. This technique is only recommended for prints on canvas but is a very affordable alternative to stretching. 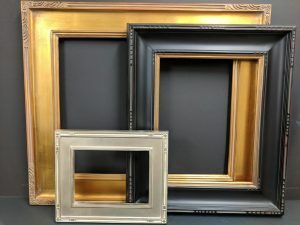 A wide selection of frames can be used since the finished product remains thin and lightweight. * Gallery Wrapping – A technique which makes use of a deeper strainer frame, typically 1” in depth or more, and sees the canvas wrapped so that part of the image is visible down the sides. Gallery wrapped canvases are commonly hung without a frame to provide a minimalistic, 3-D look on your wall. * Float Framing – The final stretching technique is accomplished the same way as the gallery wrap but with that addition of an unobtrusive boarder. 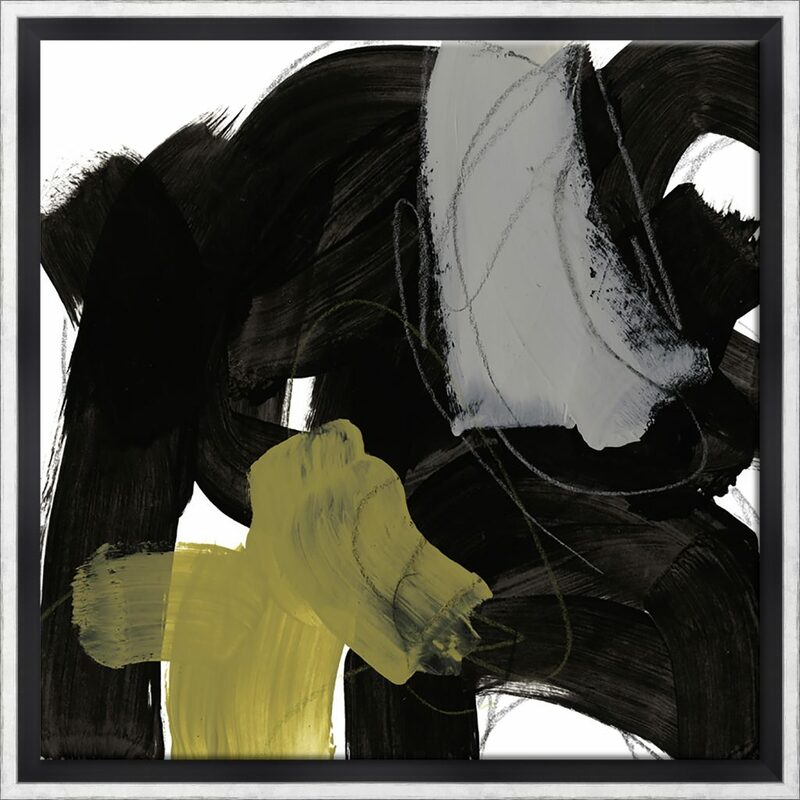 The wrapped canvas is placed within a frame style that has no frontal coverage. Instead, it leaves a small space surrounding the art to give the canvas a “floating” effect. This is very elegant and modern at the same time. The Frame Depot stocks a wide variety of styles and sizes in readymade frames. These pre-made frames offer a fantastic value while still presenting a quality, custom look. All readymade frames are sold sans glass or backing, which can be added on according to your taste. Need it done ASAP? 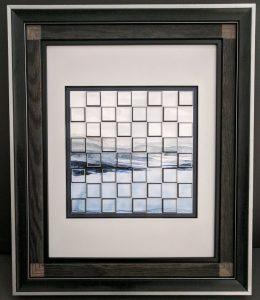 Framing projects can be completed in 24 hours or less on all in-stock readymade purchases! We are very passionate about this! From multi-opening mat designs to unique corner cuts or shapes, we invite you to see how the right matting treatment can really bring your framed art to the next level! You or your loved one worked hard for this prestigious award and it deserves to be displayed. From simple to grandeur, The Frame Depot can design and craft a framed package to enhance and protect this important document for the future.